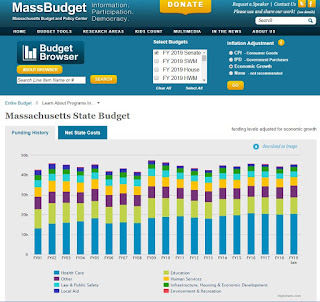 The Massachusetts Budget and Policy Center's latest Budget Browser highlights several of the substantial differences between the House and Senate budgets that the Legislature's Conference Committee will have to reconcile. Education. Both branches made targeted new investments in education: the House proposed larger investments in early education and care, focused on quality, and the Senate proposed greater funding for local K-12 public schools. Neither branch proposed significant increases in higher education funding, continuing a pattern that has led to rising student costs and debt. The Senate includes a new provision, prompted by the sudden Mount Ida College closure, that requires a college to give 120 days' notice to the Board of Higher Education (BHE) if it plans to shut down. Housing. The House proposes $5.0 million for a new program to provide flexible funding to help individuals who are homeless to move into housing and $100.0 million for the Massachusetts Rental Voucher Program (MRVP), $2.5 million more than the Senate. But the House provides significantly less funding than the Senate for the Emergency Assistance account that provides shelter for low-income homeless families. The Senate creates a new $2.7 million program to retrofit or create affordable housing for renters with disabilities. The Senate also proposes increases in Registry of Deeds fees to provide additional funding for the Community Preservation Act Trust Fund, which helps towns fund affordable housing, open space, and historic preservation. Health Care. The Senate budget includes a proposal-similar to one introduced by the Governor-to control costs of pharmaceuticals. It would allow the state to negotiate drug prices directly with manufacturers to obtain rebates for prescription drugs. The state could also impose a penalty against the manufacturer if the manufacturer were not to agree to a rebate and if the Administration were to find the manufacturer's prices excessive. The House budget includes more funding than the Senate's for pediatric hospitals, and for adult foster care and adult day health rates. Both the House and Senate proposals include an increase in the state Earned Income Tax Credit (EITC). Research has shown that-in addition to encouraging people to work and helping families to make ends meet-the EITC improves health outcomes for mothers and children, and boosts children's academic performance and lifelong earnings (see MassBudget's "A Credit to Health: The Health Effects of the Earned Income Tax Credit" for more information). Both branches also embrace a proposal by the Governor to increase funding for adult mental health services and to restructure and expand the primary adult services program. The goal of these reforms is to provide more coordinated, standardized, and consistent treatment that will better align with health care systems, and will be more comprehensive, particularly for people who also have substance use disorders. 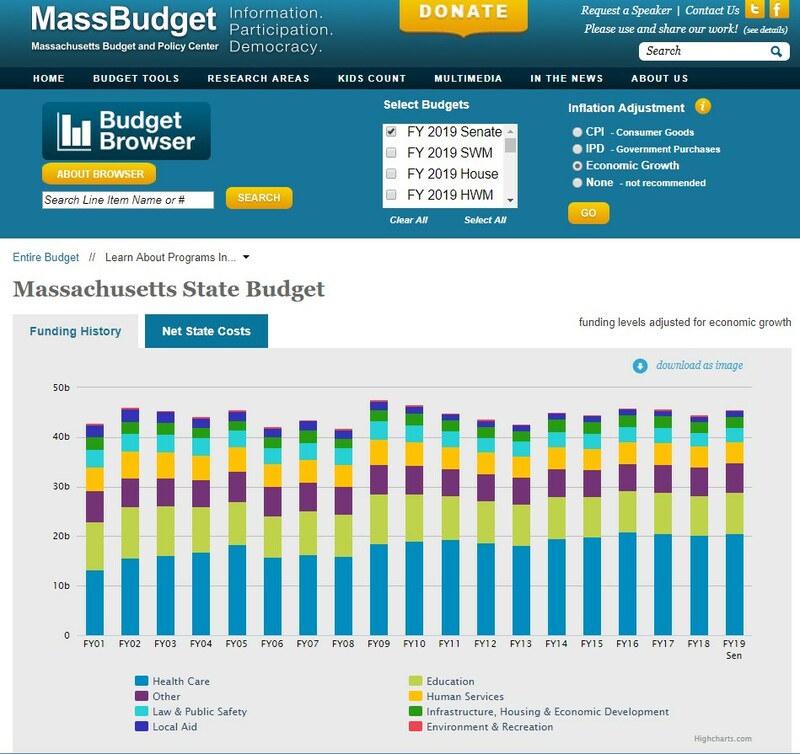 Our Conference Preview Budget Monitor describes major amendments adopted during the Senate budget debate and examines the differences between the House and Senate proposals.